We are well-known exporter and suupliers of good quality Shoulder Bags. We offered is developed and designed employing superior-grade material and avant-garde technology in stern tune with the universal quality ethics and standards. Apart from this, the offered assortment is acknowledged for durability. 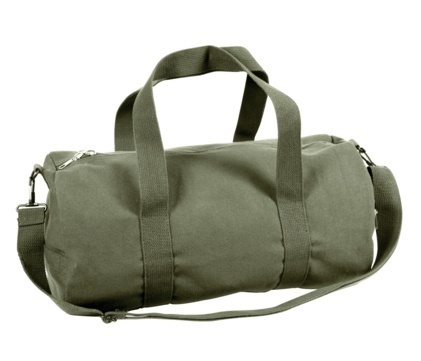 We are the leading exporter, manufacturer, wholesaler, trader, supplier & exporter of Platoon Medic Bag. These bags are made using best grade raw material procured from quality conscious vendors. These bags are manufactured using superior grade raw material, which is sourced from renowned vendors of the market. We are the leading exporter, manufacturer, wholesaler, trader and supplier of Individual Medic Pouch. First aid pouch to keep all your individual medicines while camping. These products are well designed and are highly demanded by our customers all over the world. These are manufactured by our trusted vendors using high grade raw material to remain at par with the set industrial standards. You can make a style statement with our Israeli Paratrooper Shoulder Bags dangling on your shoulders as these have a unique style and shape and are offered in sober color choices. We send only export quality products to the overseas market, which are fabricated in compliance with the global norms of quality. Our elite range is tagged with a cost-effective rate. We are exporter of wide range of Mag Bags. The shooter bags fabricated by us are a useful accessory designed for army personnel and for those who frequently go out for forest trekking and expeditions. This range is optimally stitched and made from top grade factor inputs. We customize these bags to make them appropriate for meeting the specific needs of our valued clients. We are the exporter of Shoulder Mag Bags. We are amid the principal providers of optimal quality Shoulder Bag. Designed and developed in accordance with the industry set guidelines, these products are acknowledged for their durable finish. In addition to this, our offered products can be modified as per the patrons’ necessity and preference.